• Height: 2440mm (8ft). But ORDINARY one is 1800mm (6ft). • Easy to assemble. Assembly manual included. • Moveable, and detachable. With Fence wire stopper. 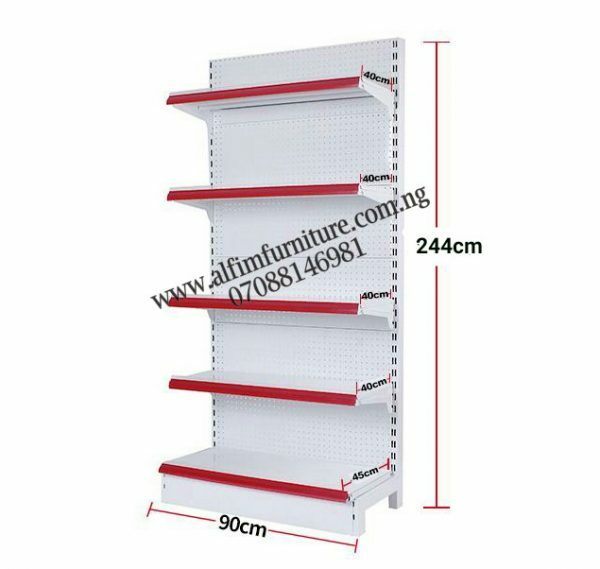 • Shelves spacing are adjustable. Fence wire stopper. • Scratch resistant paint finish. Perforated panels. Gondola single sided supermarket wall shelves create a storefront that is appealing to consumers, and it allows you to utilise every inch of usable space in your store. 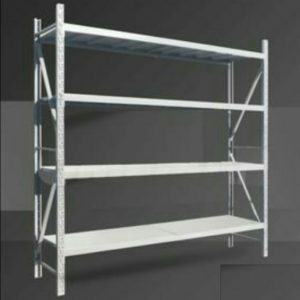 These versatile and functional single sided supermarket shelves or wall shelve are available in simple to set up, DO-IT-YOURSELF kits. They are easily moveable, detachable and adjustable to meet your display needs. For durability, the steel material is finished with powder coated paint. 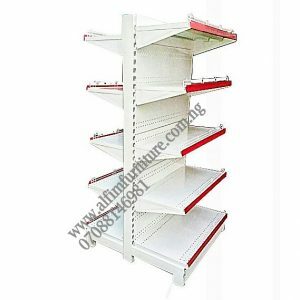 Single sided supermarket wall shelves also known as wall units are the choice for business owners in a wide variety of industries. They are ideal for retail outlets (supermarkets, pharmacies, cafes, Bread stand, etc.). 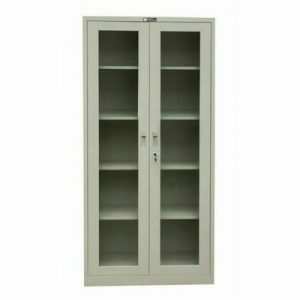 Gondola shelves comes in Wall Units, Double-Sided and End Cap Units. Supermarkets use Gondola End Cap Units at the end/begining of store aisles and by check-out registers to highlight products and encourage more sales. Grocery stores commonly use Gondola Shelving with solid backing or pegboard backing which can accept peg board hooks. Gondola Shelves have a channel on the front that accepts decorative vinyl inserts in different colors, display labels and sign holders. You can also add gondola fences, gondola baskets and gondola shelf dividers on the metal gondola shelves to better organize your grocery merchandise. 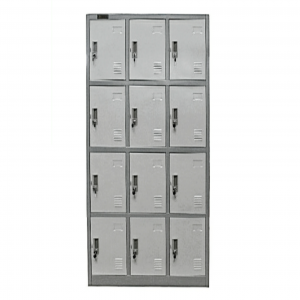 At Alfim furniture, we also offer a large selection of Gondola Accessories designed to help you better organize your products, display add-on merchandise, signage and more. We have various products to choose from, guaranteed to meet virtually all your store fixtures, displays, and retail store needs. It’s pertinent to realize that pictures of product do not mostly depict quality. Equipment manufacturers endeavor to specify the quality of the metal/steel materials. Therefore, whether for pharmacy /drug store, supermarket ,or grocery, make sure you understand that where to buy these gondola racks displayed for sale is as important as the price you pay. At Alfim Furniture Lagos Nigeria, we ensure that whatever you buy from us, is excellent value for money.